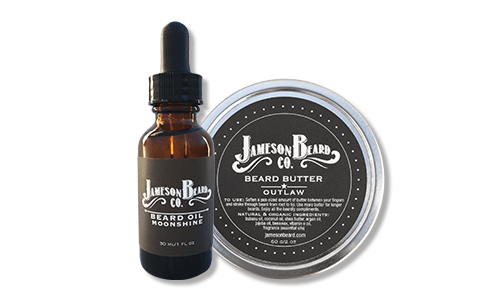 Jameson Beard Company is a veteran- and family-owned business that curates all natural beard oils and butters. Proudly made in Texas, their products are perfect for all beards, from the goatee to the old Dutch, and every style in between. Made with luxurious oils such as jojoba and argan, their products seriously moisturize and re-energize facial hair. 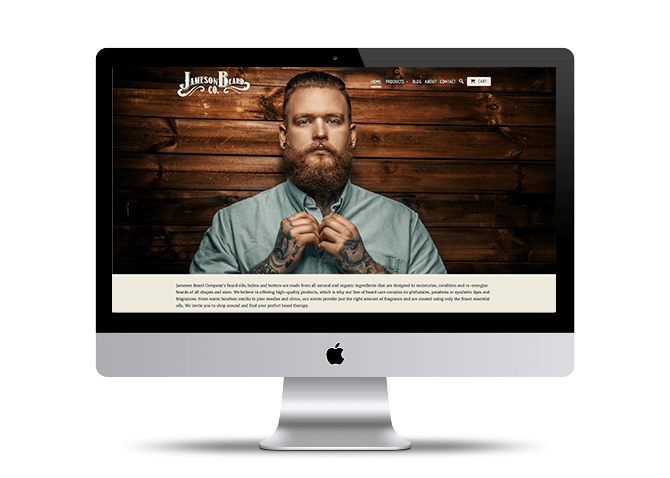 We had a blast creating the brand identity for Jameson Beard Company. Made in Texas, their products are reminiscent of the Old West, even their scents, Outlaw and Moonshine, give you that vibe. We chose a neutral color palette with varying hues of brown, plus oatmeal and ivory. We also kept in mind that the logo would need to look great on product packaging. Additionally, we customized their site using Shopify, which is fully responsive, showcases their products and gives them the flexibility to grow their business. Shopify is our favorite e-commerce platform because it is all-inclusive, is super user-friendly and makes taking payments a breeze. Check out the site in action here.